As reported here Friday, January comics sales performed the rare feat of beating December's sales; now, with the release of new data from Diamond Comic Distributors, we can see the numbers behind the headline. Click to see Comichron's comics sales estimates for January 2013. As also noted Friday, despite the calendar, January is a four shipping week month, just like January 2012 was. As a result of Diamond taking Christmas week off, most material that left its warehouses during the week after Christmas was counted as part of December, even though it had an on-sale date of January 2. 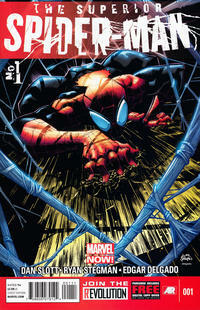 But Direct Market comics and graphic novel orders, led by Superior Spider-Man #1 and Fables Vol. 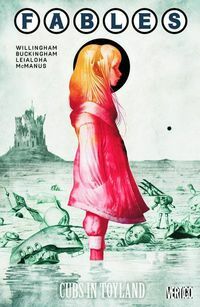 18, were still up nearly $9 million over last January to $41 million, and unit sales of comics within the Top 300 were up nearly a million copies to 6.72 million. That shows some significant progress, as according to the U.S. government's inflation calculator, inflation rose 25% from 2003 to 2012. That means about three quarters of the gain comes from two sources: new material, and however much comics have increased in price faster than inflation. There's definitely new material involved. This January saw 20% more individual comics sold than in January 2003 just in the Top 300. More importantly, though, the graphic novel backlist is much larger. The material below the bottom of the comics and graphic novel charts in January 2003 accounted for only $3.5 million. If you shorten this January's charts to be the same length (they only went to the Top 50 graphic novels back then) then the "off-the-charts" material today accounts for $14.5 million, an increase of $11 million! Another explanation for January's growth over time can be found in the fact publishers are more aggressive in the winter than they once were. 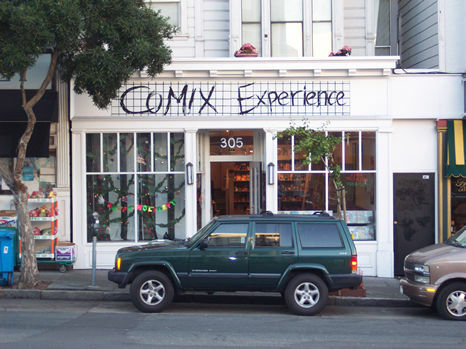 Retailer Brian Hibbs of Comics Experience in San Francisco, long a columnist when I was editing Comics & Games Retailer, noted after that piece ran that there never really was a "Dead Quarter" as far as retailers were concerned; that it was all a matter of publishers holding high-profile titles back. I do believe there are some demand-driven effects on the retailers' side: few people get to comics shops in snowstorms, and I've heard over the years that accounts tend to close more frequently at the end of the year, for tax or whatever reasons. But I agree that the vast majority of the issue is publishers not taking the field with high-profile titles or even their full regular slates. And where January consequently used to have some incredibly low totals for the titles at the bottom of the charts — as low as 660 copies for the 300th place title in January 2001 — this January's total was 4,257 copies for the 300th place book. That's up from 2,606 copies last January, a month that was pretty darn good on its own. It looks like there are at least 440 comic books above the 1,000-copy level at Diamond in January 2013. Click to see the 300th place issues over time. The average comic book in the Top 300 cost $3.57, with the average comic book ordered by retailers costing $3.56. The average comic book in the Top 25 cost $3.63. $3.50 was the median price of comics, and $3.99 was the most common price. Click to see monthly comics prices over time and median comics prices since 1961.